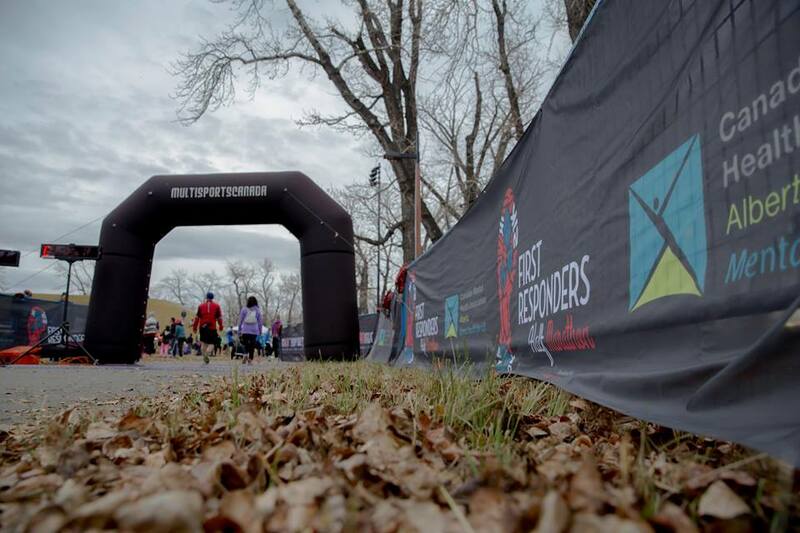 The First Responders Half Marathon is a highly regarded event that takes place annually in Edmonton, Calgary, and Saskatoon each year. We are excited to expand awareness of all First Responders and the challenges they face in our communities. We are honored to pay tribute to the many first responders who service our communities. We look forward to supporting them and their legacies through raising funds for the Canadian Mental Health Association, Alberta Division at our Edmonton and Calgary events. All entries are non-refundable. NO Refunds or Rollovers will be offered for any reason. HALF MARATHON TEAM DETAILS Teams of 4 runners each Each Team must register a Team name All team members must run and complete the half marathon race course to obtain a team time. **THIS IS NOT A RELAY** All teammembers run together Team results are calculated by the average time of all 4 individual runners Each team member will also receive their individual time If one or more team members are unable to participate or complete the race, then the remaining team members will run as individuals and only receive individual race results. No team time will be available. Team captain has already setup and paid your entry fee, you must know your team name and password. Online registration will close at 11:59am (MST) on Friday, November 1st, 2019.